★ There will be 8 Thank You Tags and 5 designs. Each measures 2.5 inches x 4 inches, they come on one page like the one pictured above, you can print as many as you need at home. 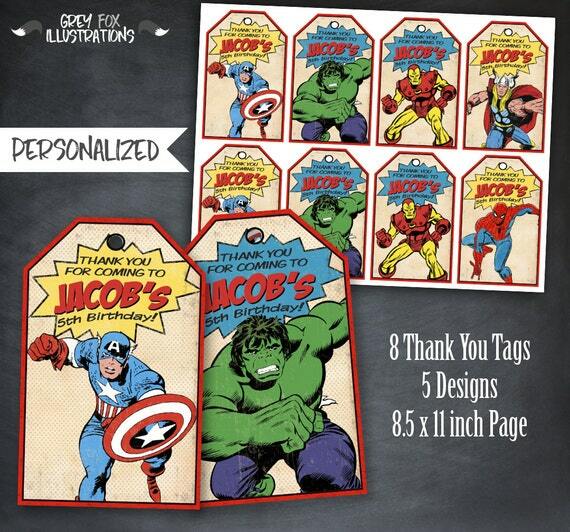 Please keep in mind, these are printable Thank You tags, you will not receive physical tags. You will receive 1 HIGH RESOLUTION 300dpi JPEG Digital File in a format of 8.5 x 11 inch letter size page. Check FAQ's for current turnaround time, or announcement found in the shop main page. If you have any issues or concerns, always feel free to send a message via Etsy convo. Grey Fox Illustrations' items are for your personal use only, and may not be used commercially or resold. By ordering you agree to shops terms and conditions.